Contains Evening Primrose, which has been recognized for its anti-inflammatory and antioxidant properties. Some people believe that Evening Primrose relieves joint swelling. Contains mineral oil. Mineral oil is non-irritating and has long been considered a premier skin protectant because moisturizes and protects the skin without suffocating it. COMMENTS: Really enjoyed working with this lotion. !it was a tad thin but I added my own oils so it was a problem. COMMENTS: It is too thin, however, I add some of the wonderful shea aloe to it which thickens it and then I whip it for a minute or two to incorporate! It makes a beautiful lotion. COMMENTS: and so do all my customers. I sell out every event I take it to! COMMENTS: Purchased in the sampler set and this is by far my favorite. Not to thick not to thin. Currently using unscented as my after tan moisturizer and I am in love. "Moisturizing Lotion with Evening Primrose"
COMMENTS: I received this product in a Lotion Base Sample Set - I liked the idea of being able to compare the bases side by side. Far & away, this one was my favorite! It's light, not greasy, absorbs quickly, and leaves your skin silky smooth. I made lotions using all of the bases in the kit (my other FAVORITE is Gentle Face & Baby lotion), and allowed customers to sample them all, and this one was the standout customer favorite. This one is a definite keeper! COMMENTS: Everyone says how they love the feel of this lotion - not too greasy and absorbs quickly without leaving a greasy feel. I will continue to order! COMMENTS: This is the best lotion i have ever tried. So easy to Work with takes and holds fragrance well. Absorbs right away non greasy. Makes your skin so soft and last and last. My customers love this product. This lotion is flying off the shelves. Will buy again and again. COMMENTS: LOVE EVERYTHING ABOUT MOISTURIZING LOTION WITH EVENING PRIMROSE FROM WSP. AND SO DO MY CUSTOMORS. THE WAY IF FEELS, THE WAY IT SOAKS IN ON THE SKIN, AND HOW AMAZING IT WORKS ON THE SKIN. THANK YOU WSP FOR ANOTHER QUAILTY PRODUCT MYSELF AND MY COUMTERS, LOVE. COMMENTS: I used this for making hand lotion. In general I personally dislike using lotion because it feels greasy and suffocating, but this one wasn't that way at all - nice and light, no icky feel. Everyone I made it for loved it. COMMENTS: This lotion is a great base for any beauty line. "Moisturizing lotion with oil of evening primrose"
COMMENTS: This has been my "go to" hand and body lotion base for a few years now. Holds fragrance and color well. Lovely silky lotion that is not at all sticky or greasy. It leaves the skin feeling soft and silky. I especially like this lotion for the warmer months as it is a bit more light weight than some of the other lotion bases. But it really is great for any time of year and my customers love it! COMMENTS: like the feel of product on skin. absorbs quickly, not greasy. COMMENTS: I got this lotion in the sample set, and I absolutely love it. I mixed it in with the basic lotion and it made a fabulously moisturizing product. "This is such a time saver!" COMMENTS: Great lotion! Great price! HUGE time saver! COMMENTS: I can not say enough good things about this base. It feels so good on the skin, works well with just about everything I have used it in. COMMENTS: Received this in the lotion base sampler. Feels nice, not greasy. Nice, smooth lotion. COMMENTS: I truly haven't' used this yet fro a product in my store, but I have tested it on my hand and around my cuticles and I love the feel of it. I have plans on making some cuticle cream with this and put them in my Mothers Day baskets this year. I think they will be loved by many and if so I will sell this concoction as well. COMMENTS: I'm so happy with this lotion base. Feels amazing, doesn't feel greasy on skin, holds scent and color very well. My customers love it too! COMMENTS: I got the sample set of the lotion bases and this base is my favorite! It is very smooth and melts into the skin. It glides on and take FO very well. The only thing I noticed is I accidently over heated the base past 120 degrees and when I add my FO the oil sat at the top. I mixed and waited until the next day to cool and keep mixing in and the FO didn't sit at the top anymore. I would recommend watching very closely to heat this lotion to 123 degree or even under. COMMENTS: Mu husband has very dry skin. I used this as a lotion base with some other ingredients. He said it was very moisturizing to his skin and didn't dry out. He was very pleased with it. COMMENTS: I Love How Moisturized My Skin Feels Right Now!!!! COMMENTS: my favorite lotion base. takes fragrance well. customers love. COMMENTS: The lotion I make with this base is hands down my best seller. This base takes fragrance well. My customers love that it absorbs quickly and doesn't leave a greasy feeling on their skin. I love that this base makes it so easy for me to make a top seller! COMMENTS: I LOVE this lotion with Evening Primrose. I gave some samples to my friends and they loved it too. I just left it unscented. I was going to sell this but I've already used up most of the gallon already. I will be buying this again! "holds FO/EO well and feels silky"
COMMENTS: My husband had a breakout of poison ivy and was looking for a less-chemical anti-itch lotion - I put together some EO's and blended them into this base, it worked great! The base itself holds FO and EO well, and feels silky when applied. COMMENTS: Great lotion. Will order again. COMMENTS: Love Love Love this lotion! Easy to work with, has it's own distinct smell. Hold EO's well, sold out immediately! Will keep buying this product! COMMENTS: bought this to use as a base, works great, just add your favorite butters and oils. COMMENTS: I like this lotion, I do add Vit. E Oil to it as it is a very light moisturizer. COMMENTS: Easy to work with and great product outcome. This is the first time I've used Evening Primrose and will definitely be ordering more for my lotions. • great for MEN and Women alike! COMMENTS: I used this for a face cream, didn't need to add too much to it. Love the feel of it on my face & it didn't leave my face feeling greasy. COMMENTS: turned out very nicely in the cuticle cream kit. will try it in other kits and on its own soon. COMMENTS: Light, creamy, excellent lotion. I add a few additional ingredients but alone this is also awesome. Sometimes adding scent doesn't smell true to the scent because of the Evening Primrose scent but it's excellent and my favorite lotion.
" Moisturizing Lotion with Evening Primrose"
COMMENTS: This is a wonderful light weight moisturizing lotion. Very easy to work with and customers love it! This lotion is a winner! COMMENTS: I really liked this one from the lotion sample kit, I loved the Evening Primrose oil in it. Made me feel good all over, I can definitely see me ordering more of this one. COMMENTS: This has great texture and has a good feel to it. I will purchase again. 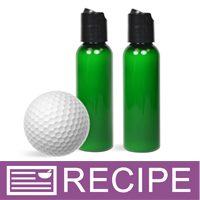 COMMENTS: I use this base for the recipe on WSP (Golfer's Lotion). 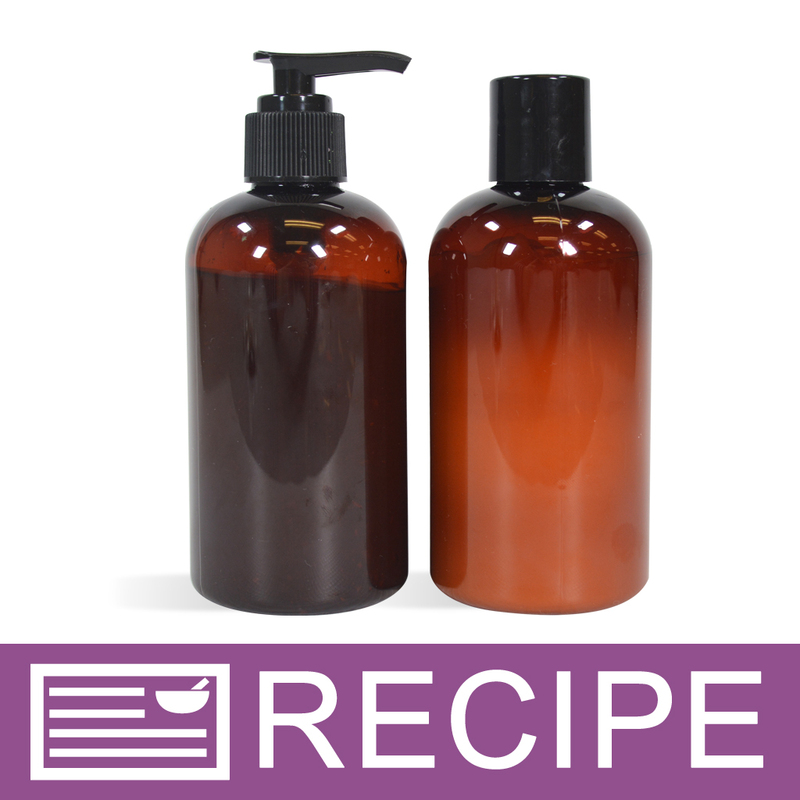 I've modified the recipe for another type of lotion which mainly caters to my men's line (the women prefer the thicker, satin lotions). I have received rave reviews on this base and the lotions that I use it in and will continue ordering for a very long time to come. This is one of my most popular products and whatever I end up naming it - it is purchased and used by both men and women. It's great for extremely dry, cracked, outdoor-type hands, is light on the skin, and is thin enough to use in the bottle form without having to dig out the last of it from the bottom of the bottle! You have to try this one! COMMENTS: Bought this lotion base because I wanted a thicker and more substantial base for my creams and lotions. this one does not disappoint. It holds up well to additional additives and scents used to make the finished product and customers love it. The scent lasts a long time and does not thin out the base. I will continue ordering more thanks WSP. COMMENTS: Best Moisturizing Lotion Ever! • Holds colors and EO smells great! COMMENTS: I will say there are better lotions out there but this lotion is a great starter or basic lotion. The scent is soft. The texture is really smooth. It glides on wonderfully. Ive added other essential oils and dyes and it holds the fragrance well and it holds color good! COMMENTS: It's a little watery but that is better than being too greasy. It's very light and dainty. I just wish the ingredients were a little more natural. I have no idea what DI-C12-15 Alkyl Fumarate is and that ingredient looks scary to customers on a label. • Make with more natural ingredients. "Crafters Choice™ Moisturizing Lotion with Evening "
COMMENTS: In my opinion, this lotion is a bit too watery. Very light in texture and does not linger on the skin for too long. I do use it in our Men's Body Lotion line and my male customers do like it. However, for my women customers that are a little more particular when choosing and using cream/lotion products, this is not selling so well. I will continue to buy this product, but not more than one at a time to ensure that it doesn't sit too long on my shelf. Thank you! "This is one of the best lotions You can use "
COMMENTS: Omg, the velocity is fantastic,this is the one thing I would absolutely advise you to get, It takes essentials and color very well and easy to mix and bottle . COMMENTS: Omg this lotion base does wonders. I am so satisfied with this product. I used it to make some great lotions and face creams! It is so much more convenient when you want to use a short cut in doing completely yourself! COMMENTS: It's a nice moisturizing lotion. COMMENTS: This lotion is very thin. I mix it w/another premium lotion premix and it does ok. It does hold fragrance well. I use it on my face by itself, that's how thin it is. It does absorb quickly, but you'll be ashy very shortly after. WSP Response: This is one of our thinner lotion bases. We offer many others that are thicker. Please check our other bases for their "Consistency" to find a thicker lotion. "Moisturizing Lotion with Evening Primrose "
COMMENTS: Rich, creamy & does not leave that slick after feel. Your skin soaks it up and leaves a very soft feel. fragrance oils mix well. COMMENTS: This is a great lotion especially after a long day. The Evening primrose actually does work. Very light scents so people prefer to most who do not like fragrance. COMMENTS: I use this as is for my facial lotion line. I sell it with the treatment pump so just the right amount of lotion is dispensed. This is a very popular product as I do not use any fragrance or colorants in this facial lotion. I actually use it my self and my boyfriend uses it after he shaves. I highly recommend it. COMMENTS: I absolutely love this product. Takes fragrance well and is very easy to work with. This product is very well loved by my clients! Fast absorbing and never sticky which is a necessity in our deep South location. COMMENTS: Such a great, smooth product. Takes color and fragrance very well. I just hate that it comes in a jug. Once you get down to the last pound or so of base, it's very difficult to get out. Dear WSP: please change this to a bucket. I don't care if you charge an extra $2 or whatever to change from jug to bucket. The removal of aggravation at getting out the remaining base is worth it. WSP Response: Thanks for the suggestion!! We will look into changing the packaging this summer. COMMENTS: I love this base because it is nice and light and absorbs quickly! Takes scent nicely too! COMMENTS: Love the benefits of the Primrose and the quality of this lotion...have clients that swear by it! Super lotion! COMMENTS: Along with my soaps and body sprays I also create menopause lotions, I love this one with the evening primrose. Very nicely accepts my essential oils, never greasy and it leaves a nice light scent .. COMMENTS: Easy to heat (used a slow cooker), holds fragrance well, and even took extra extracts (made it a little more liquid, but I can live with that). I have sensitive, dry skin and this lotion is great! It absorbs quickly and leaves my skin soft and moisturized. I love it! COMMENTS: My customers love this lotion, I have a few who said that it has helped with redness and itchiness. Great product. "Moisturizing Lotion w/ Evening Primrose Rocks!!" COMMENTS: Mixes will with EO and extracts. Light and non greasy. Absorbs very well with no greasy or sticky residue. Holds scent well. Everything you could want in a moisturizing lotion. I load it up with skin loving extracts and a bit more evening primrose oil for and it is an awesome lite facial moisturizer. COMMENTS: I just rec'd my order and couldn't wait to make this lotion. I love it!! It makes my skin so soft and silky. There's no greasy after feel. Will be getting more for sure! COMMENTS: I got this in, made it and sold the whole batch in one day. I am reordering more! I haven't even had a chance to play with different fragrances yet; they love Pure Seduction with this lotion base. My daughter has back pain and she says that when she applies this to her back, she feels the inflammation go down right away - the evening primrose additive and it is so light, not greasy. It carries the Fragrance oil wonderfully. COMMENTS: I use these bases and add my own things to them to make them my own lotions. I love the evening primrose one because it mixes well with anything i put in it. Easy to use, great item!! "crafters choice moisturizing lotion with evening "
COMMENTS: This product is AMAZING. Nice price, not greasy,holds scent really well. COMMENTS: This lotion is amazing. I use it in my cuticle cream and my customers love it. They say their cuticles have never been so soft and lovely. COMMENTS: My customers can't get enough of this lotion. Mixes will with FO and other additives. Light and non greasy. Absorbed very well with no greasy or sticky residue. Some customers love it for an all over body lotion, some for their hands, and quite a few swear by it as a facial lotion. I use it, my husband loves it, and it works beautifully on my 3 yr olds skin after his bath. Definitely a keeper, very versatile. Please keep this one around. "Can't ask for anything better"
COMMENTS: My customers cannot live without my lotion. The moisturizing lotion is the best seller ever. You cannot ask for anything better. I recommend this lotion to anyone even if you don't make lotion, I would order it for your own use. "Perfect quick lotion for men and women"
COMMENTS: This lotion is a customer favorite. Easy to color and add fragrance to. The consistency of this lotion is perfect for a light weight solution for men and women. COMMENTS: Soft and silky lotion...I added a little extra evening primrose and it came out perfect. COMMENTS: I find the primrose to be a stronger smell, but it mixed in nice with the fragrance i chose. It was a big seller at the craft fair. "leaves my hands soft and silky"
COMMENTS: i purchased this to make two different lotion recipes and they both came out great. im planning on giving the lotion out as christmas presents, which im pretty sure will be a hit. love that the price is so low, will be buying more in the future. COMMENTS: I sue this for my most simple and basic lotion and it does well moisturizing and does not add any fragrance of its own to compete with the fragrances I add to the mix. COMMENTS: All the lotions WSP sells are premium and decadent. I have received great feedback from my customers. This one is no exception. Used lemongrass e/o, let me warn you, this scent and e/o benefits are addicting! "Great Light Lotion for you face." COMMENTS: I was first using Goat's Milk and Honey lotion and decided to give this a try. I really like this one for a face lotion. Nice and lightweight. COMMENTS: Such an amazingly light yet moisturizing lotion! I use this as the base for my face lotion. And such an affordable price! Great job once again, WSP! COMMENTS: This is a soft lotion, we mix it with another base for a nice thick lotion. COMMENTS: I didn't think that another base could top the Goat's Milk base, but then I tried this one. The base scent is really mild to me and takes scent incredibly well. It's super smooth and creamy, doesn't leave a greasy feeling like some lotions I've tried over the years, and my skin really soaks it up. It's not as heavy duty as the Goat's Milk, so it works wonderfully as a luxury lotion, in my experience. I will always use this lotion base. "I use this often and my customers love it." COMMENTS: I have used this base for several years and it's my best seller: light, non-greasy, takes fragrance well, etc. COMMENTS: I use this as a base for my face lotion. Customers really like the way it feels on the skin. Not greasy & soaks right in. Takes other additives very well and it very customizable for all skin types!! COMMENTS: Great lotion. Absorbs quickly into the skin and leaves a nice, silky finish. Not greasy at all! Took my lemongrass EO very well. Love it! COMMENTS: This lotion is a big hit around here. I'm super-picky and can't stand a lotion that leaves any sort of build-up on the hands, and this one doesn't. It's rather sheer-- nice for light moisturizing on the hands and after a shower. Everyone that's tried this lotion likes it. COMMENTS: This product is wonderful. Easy to remove from packaged container. Blends scent and color beautifully. Finished product is a light to medium weight lotion that rubs in easily, leaving no "sticky" feeling to the skin. Great product for the price. I will surely continue to purchase. Thanks WSP! COMMENTS: I found this lotion to be quite sheer. It soaks in almost immediately and does soften the skin nicely. Super dry skin suffers may find this lotion to be too light but I am delighted to offer it as a sheer hand lotion instead. Very nice! COMMENTS: Recently tried another companies lotion base and it could not even compare to WSP! I have found the products that I will be using for good! COMMENTS: I loved that this lotion did not leave my hands feeling greasy. This lotion is easy to work with and very affordable. I would recommend this to anyone. COMMENTS: Product feels great, fragrance and color incorporates great. Thanks! COMMENTS: I ordered this product on a whim and it has given me surprising feedback. COMMENTS: This is one of the best bases I have tried. Takes scent and color well, not at all greasy, customers love it, and the price is right. Will continue to order this base as a "staple." COMMENTS: Great product and great price. This lotion is thick and cream like but skin does not feeling greasy after use. COMMENTS: This lotion is great and the price is great. It leaves your skin so soft with an easy glide and sinks in quickly. COMMENTS: Great lotion, left my skin very soft and you can't beat the price! COMMENTS: I cannot give enough compliments to this lotion! I raved and raved to my husband for an entire day when I opened my gallon and tried it out. It moisturizes and leaves the skin feeling very, very soft. No tackiness or oily feel. So many "ready to scent" bases have this waxy-drag feeling, and this does not! Light, fluffy, and thick. And the price is unbeatable. Please keep this base forever! COMMENTS: I was pleasantly surprised with this base. It leaves skin feeling very soft and scents nicely. "What other lotion base can this be mixed with to make thicker?" Staff Answer Our thickest lotion bases are Goat Milk & Honey, Shea Butter & Aloe, Satin & Silk and Luxury Hand and Body Cream. "I noticed that, in one of your conditioner recipes, you answered a question about the Dimethicone in a hair conditioner and said that it had been classified as a hazardous material and has been discontinued by your company. Is there something different about the Dimethicone in this Moisturizing Lotion with Evening Primrose? Thanks in advance." Staff Answer Dimethicone and Cyclomethicone were recently reclassified as being hazardous to ship as they have a low flashpoint. This is why they were discontinued with our company. When added to a product, such as our lotion base, it is diluted and poses no hazard risk to ship. "I would like to add a 3oz of Shea butter to my 1 gal. Would this work? Thank you "
Staff Answer It may be hard to incorporate a butter into a ready-made lotion base. You could add an oil which would blend in much easier. If wanting to add the shea butter, we recommend trying it first in a small batch to see if it blends in well. "IS this product pet safe? " Staff Answer You may need to give the ingredient list to your vet to see if this would be safe for pets. "In the video it says to make sure the fragrance oil has 0% vanilla, why is that?" Staff Answer That is recommended so you do not need to add Vanilla Color Stabilizer. If your fragrance has vanilla, you can simply mix with the Vanilla Color Stabilizer for Lotions & Washes to help prevent the lotion from discoloring. "Hello i just wanted to know if this is a organic lotion base and what is the base of it?" Staff Answer This lotion is not organic. All ingredients are listed under the "Directions & Ingredients" tab for this product. "If I forgot to warm it to add the fragrance, then mixed can not do?" Staff Answer We recommend heating to help thin the lotion so it will incorporate fragrance better and help in pouring into bottles. Many customers do not heat so it is your own preference. Is that I parted the fragrance. If I had already mixed it, Can I warm it up along with the fragrance to be incorporated? "Once I have added my scent and bottled this lotion, does it have an expiration ?" Staff Answer The lotion is good for 1-2 years after bottling. "Hi, can i use this base as a face cream?" Staff Answer Hi Red Forest, You can use any of our bases as a face cream. It's really all about your preference. "Why would you use mineral oil in a lotion or cream base? It is NOT a skin-friendly ingredient!" Staff Answer Many people prefer Mineral Oil because it is a great protectant of the skin against things such as windburn. "I find this lotion a little bit runny, what additive can i use to make it more potent and more moisturizing, can i add vitamin E?? " Staff Answer Vitamin E can be added if you would like. However, adding another liquid additive to this already thin lotion base will not help thicken it. Because this is an emulsified lotion it may not accept all additives. You may be better off using a thicker lotion base such as our Shea Butter & Aloe Base and adding a small amount of Evening Primrose Oil to that base. "What is the product WEIGHT IN POUNDS of your gallon jug of Moisturizing Lotion with EPR? Thank You"
Staff Answer A one gallon container of the Moisturizing Lotion with Evening Primrose weighs approximately 8 lbs. "Can I add Traditional em wax to make it thicker?" I wouldn't if you heat it up it could change the texture of it over all. Staff Answer Adding additional products to the pre-made bases may not blend completely. which could cause the product to separate. "Is this lotion ok for sensitive skin? Would you recommend using it as a baby lotion with a bit of Crafters Choice Baby Bee fragrance oil?" This may be a little heavy for a baby lotion. Babies skin is also super sensitive and delicate, in my opinion. There is a lotion base for baby/face, that one may be better suited. I do not scent my baby lotions due to possible allergies/reactions however if you do use scent I would use something lightly scented, hope that helps. "Does this lotion absorb well or does it take a while for it soak in? I am looking for a lotion that does not leave a "greasy" feeling on the skin." It's creamy, non-greasy, absorbs into skin well. "Is it ok to add powders such as basil and camomile to lotions and if so do i dilute them with distilled water before adding them? What percentage can I add to 1lb of lotion?" Some powders can leave grit when dissolved, so it is best to experiment with reconstituting powders to see what you get. Also though I might not use the reconstituted powders in a pre-made base as it might not mix in well. If you want to do this, you should make lotion from scratch to guarantee a full emulsion.These bases are made for adding your own scent and color. I formulated a lotion for personal use with WSP's goat milk & honey lotion as a base and added about 15 dry ingredients/powders. I just heated the lotion as directed and placed the additives in the pan and heated them along with the lotion base (no distilled water added). Just make sure the additives are finely ground so they aren't scratchy to the skin. "Do i have to heat up the lotion to add powder color and fragrance? is it best to mix the color with distilled water before incorporating it?" Yes you will need to heat it to thin it out, but careful not to go above the maximum temperature. I would disperse the color in glycerin or use the already liquid stain glass colors. "Is this lotion base gluten free?" It looks like from the ingredient list, that it is gluten free! "Does the Evening Primrose scent this lotion? I mean is there any noticeable scent in this lotion or does it smell like regular unscented lotion?" Staff Answer The evening primrose does not give any scent to the lotion. All WSP lotion bases are unscented.